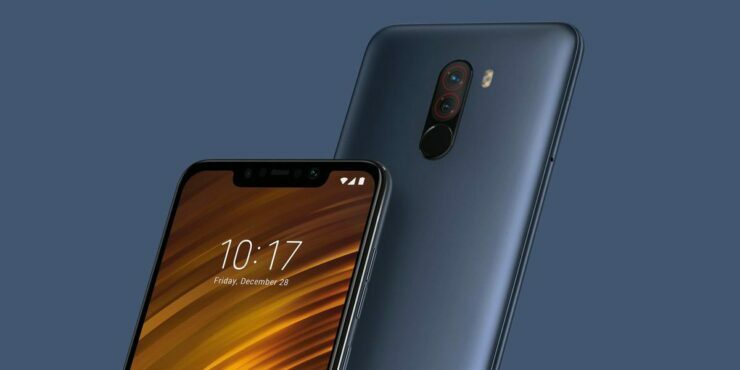 Xiaomi’s sub-brand POCOPHONE recently launched its first flagship, the POCO F1, with a ton of interest being garnered around it from day one and why not? The device promises premium features at an unbelievable price, so it is unsurprising that the mobile powerhouse was able to generate a ton of sales during its sale inception. The company has claimed that it was Flipkart’s most significant and fastest flagship sale ever via its Twitter account. Within 5 minutes of going live, the POCO F1 earned revenue of more than INR 200 crore (2 billion). If you make a rough currency conversation, the total revenue generated comes at an estimated $28 million. However, the interesting thing to note is that Xiaomi has not revealed the number of units that were sold. According to GSMArena, that number came to 68,965 units, assuming that the most expensive variant of the device was ordered. Now, the same website has published that if the base model was ordered by every buyer, 100,000 units would have been sold in five minutes. So realistically, the official figure will be somewhere in between. The impressive market performance of the affordable flagship is not surprising given the fact that it boasts ‘top of the line’ hardware. The smartphone is powered by the Qualcomm Snapdragon 845 SoC and comes with Liquid Cooling technology to prevent the phone from heating up. The base model packs 6GB of RAM and 64GB of internal storage. Aside from this, the POCO F1 packs a large 4,000mAh battery with support for Quick Charge. Additionally, the phone offers an AI dual-camera at the back, a 20MP front selfie snapper, and an infrared face recognition feature for a more accurate unlocking of the handset. POCOPHONE announced on its official Twitter page that the next sale is scheduled for September 5, with that same week holding a release of the POCO F1 in 63 more countries. If you are going to be taking the market by storm, looks like this is how you will be doing it. Customers based in the U.S. can also grab the POCO F1, but they will have to pay quite a hefty sum for it. However, keep in mind that it is for the 8GB RAM and 256GB storage model for now, but when the cheaper variants are available for you, we’ll update you as soon as possible.